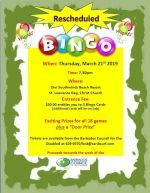 Barbados Council For The Disabled invites you to an evening of Bingo. Exciting prizes for all 18 games, plus a door prize. 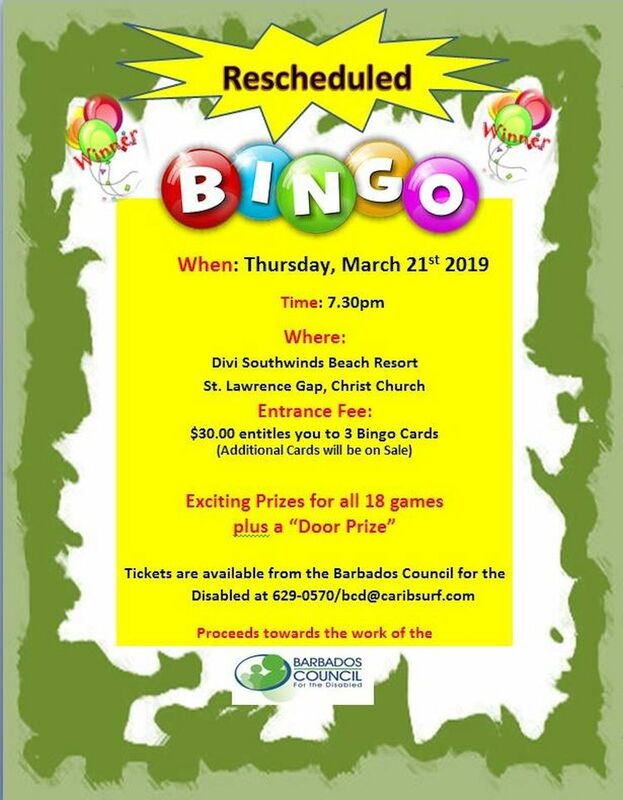 Tickets are available from the Barbados Council For The Disabled.